It's time for another guest post from Fi3M's most frequent guest contributor, Idahosa, of The Mimic Method. In my first guest post on this blog – The Flow of Fluency: How to Freestyle Rap in a Foreign Language – I discussed my approach of learning language through rapping and mimicry. In my second guest post – How I learned to rap in Four languages I don't speak in one night using Free Application “Audacity”– I go into detail about my techniques for entraining the acoustic patterns, or “Flow”, of a foreign language through song training. In both of these posts, I repeatedly harp on one central theme: Language is about sound. As obvious a statement this may be, I find myself repeating it often, as the adult language learning conversation seems to focus on everything but sound. The forums are overrun with posts discussing the best ways to learn grammar and memorize vocabulary and characters, but rarely does anyone go into any useful detail about how things sound. Of course, part of the problem is that most of the conversation is written, and clearly communicating how something sounds through writing alone can be tricky, if not impossible. After all, we are talking about sound, and sound needs to be heard. Get valuable feedback on your language abilities from anyone for free. Teach over 100 students for profit with less than 4 hours of work/week. Get ready for the Sound Education Revolution…. Soundcloud is a webservice for sharing sounds, and their stated mission is to “unmute the web”. It's mostly used by musicians to upload, manage, and share their original works. There is also a large social element to the service, as musicians can nurture their fan-base by encouraging people to “follow” their profiles. What really sets Soundcloud apart, however, is its timed-comments feature. The elegant and customizable Soundcloud player displays a visual waveform of the audio signal and allows you to easily comment at a precise moment within the track by clicking on the waveform. Other users can then respond inline to your comment and build a conversation around a that sound. Below is a Soundcloud track for my “Flow Anthem,” where I rap in eight different languages. Click on the little profile pictures on the bottom to see the conversations that are taking place around this song. As far as I know, people only really use Soundcloud to share music like this, but you've probably already begun imagining its language-learning potential. To give you a better idea of how I personally use Soundcloud to learn and teach languages, I have made this post interactive and embedded it with several soundcloud tracks for you to comment on, so please take a moment to create your free Soundcloud account (you can login with facebook too) or login if you already have an account. Seriously, don't blow this off. You'll get much more out of this post if you login and join the conversation. Remember your shock and self-disgust the first time you heard your voice on an answering machine “Oh my God, that's how I sound?” Personally, I felt betrayed. Here I was, spending my entire life calling all these people around me “Friends” and “loved ones”, yet apparently none of them ever cared about me enough to let me know that I sounded like a complete goober moron. Of course, this is a normal reaction. We hear our own voices differently from others due to the fact that our ears and vocal chords are attached to the same physical body. Also, our thoughts are always clearer inside of our own heads than they are when we voice them to the outside, hence the existence of speech impediments like mumbling and slurring. This being the case, you cannot trust your own sense of hearing for feedback on your language ability. If you are serious about learning a new way to communicate with others through sound, you need to figure out what other people are actually hearing when you talk to them, and the only way to do that is to record yourself. When was the last time you recorded yourself speaking your target language? Have you ever recorded yourself speaking another language? If you're like most people, you probably never have. Especially if you're learning a foreign language from a book, you never quite know whether your saying something correctly or not. You absolutely NEED an outside opinion, but who will you ask? Typing everything up in a well-formatted email report. Compared to this old-timey way of doing things through email, giving feedback on Soundcloud is supersonically fast. All the other person has to do is press play to listen, then click on the point in the waveform where he or she wants to give feedback and type it out. Here are some examples of how I have personally used to Soundcloud to receive feedback on my language ability. I've left the tracks open to comments, so please feel free to leave your own feedback. I'm currently learning French, and in accordance with The Mimic Method Language Approach, my first step was to learn a few rap songs. Here's a recording of one of the first songs I learned: “La Vie est Brutale” by Kery James. I asked my native French speaking friend to point out the parts that “didn't sound authentic” to him and to explain why if he could. I am currently in Montreal learning French. I'm experimenting to see if I can rely entirely on mimicry to learn the language and not explicitly study any grammar or writing. Instead, I just ask people in English how to say stuff (most people here are bilingual) and mimic the sounds they make. Two weeks in, I did a recording of myself describing my current progress and difficulties learning French. I then shared it with a friend to correct my grammar and suggest better ways of saying things. I teach this Beijing rap song – 北京晚报 – in my Flow of Mandarin course (Note: Flow courses are currently discontinued, you can learn about my new courses here), but since it's pretty underground (like most Chinese rap), I couldn't find the lyrics anywhere online. So I transcribed what I knew and sent it to my brother who knows more Mandarin than me to fill in the blanks. To save him time, I commented in track on the words I didn't know. These are just a few examples of how the simple functionality of centering conversations around sound can be extremely useful for the language-learning process. Remember, you are running a huge risk if you are learning a language in a vacuum. As an adult learner coming from a completely different linguistic system, it is inevitable that you will mishear and misspeak. To prevent the development of bad habits, an efficient, sound-based feedback system is absolutely vital. Another great feature of Soundcloud is its privacy options. If you want to share with a friend privately, you have the options to limit access to the file only to him or her. If, however, you wanted to crowdsource your language education, you can make your track public and share it with anyone you wish. Upload your recording and include written instructions for what you want feedback on in the track description (include the language as a tag too). Click the share button and use any of the quick links to promote your track to your personal blog or social networks like Facebook, Twitter or Pinterest. Soundcloud integrates with these services, so for example, a Facebook friend can comment on your track without having to leave Facebook. Because Soundcloud's design is so elegant, people actually like to give feedback because it makes them feel slick. Also, when people know about something, they like to give advice on it, as long as the actual act of giving advice is convenient. Spread your sounds, and people will comment. Make sure to “follow” and maintain contact with anyone who gives you really helpful feedback. If they have their own tracks, comment on theirs to return the favor. By the way, if any haters or trolls want to rain on your parade, just click the “mute” button. The traditional means of teaching language are becoming obsolete. Given the current technologies for recordings, manipulating, sharing and engaging sound, there is no reason to rely on the old and inefficient ways of doing things. Between the four courses in my Flow Series (Spanish, French, Mandarin, Portuguese), I have over 100 students, and I spend less that 4 hours per week managing them (Note: Flow courses are currently discontinued, you can learn about my new courses here). I offer a 100% money-back-guarantee on all my courses, and so far I've only had one refund request, so it's certainly not negligence that allows me do this. On the contrary, I make a point to be as attentive as possible to all of my students, and they have been extremely satisfied. How do I do it? Soundclound baby! Time-Consuming: Aside from the time you spend actually meeting with the person, you also have to spend time preparing lessons interesting enough to keep the student entertained for the entire session. Time/Space-Inflexible: You often lose students because your schedules don't match up or because you can't physically make it to a meeting location or computer. Not Scalable: due to these time limitations, you can only manage so many students at once. You can do group classes, but each person you add greatly reduces from the experience for the others. Expensive for the student (thus unstable income source for you): Since you can't manage more than a handful of students at a time, you're going to have to charge high rates to make any real money. People are willing to pay $20-40/hr for private instruction at the beginning, but over time the money adds up. Pretty soon, people will start looking at you like a very non-essential utility charge. The root to all these problems is the fact that you have to meet with the student in person. Remove the face-to-face factor from the equation and all of a sudden everything is infinitely more flexible. In my Flow Series Courses, for example, all my learning materials are hosted online for the student to work through at his or her own pace. At the end of each lesson, they record themselves performing an activity per my instructions and submit the recording to my Soundcloud Dropbox. Then at least once a day, I go through my dropbox and provide feedback. Here's an example “Sound Primer” submission from a Flow of Spanish student. The Sound Primer Unit goes into detail about the articulation of every possible Spanish phoneme, and for the final exercise, I have the student record him or herself saying each of the vowels as well as the consonant sounds that most English speakers struggle with. I then pinpoint each sound they personally struggle with and provide instructions on how to correct their mistakes. With the exception of the Sound Primer, the rest of my submissions are of people singing or rapping in their target language. In the lesson materials, I include reduced tempo version of the songs and phonetically break down each syllable exactly as it is articulated by the original artist. Having corrected over 1,000 submissions of the same songs already, I can pinpoint each and every syllable error and give step-by-step instructions on how to fix it. Take these examples from The Flow of Spanish students. As useful as this feedback was to the student, it only took me a few minutes to complete (Note: I reposted these tracks and feedback anonymously to protect the identity of my students). One major reason my courses are centered around song-instruction is because it has so many controls. Since everyone is learning the same songs, and most students come from an English speaking background, I can predict most of the mistakes people are going to make. In fact, I've created sections in my courses that list all the “English Speaker Tendencies” and provides tips for correcting them, so when a student commits one of these errors, I bring up my cheat sheet .txt file and copy/paste the link to save myself the time of writing out the instructions each time. Here's an example of a Flow of Spanish student committing two of the most common English speaker tendencies in Spanish – reducing the /a/ vowel on an unstressed syllable (saying “uh” instead of “ah”) and diphthongizing the /e/ vowel to add an /i/ to the end of it. My tips were copy/pasted from previous submissions from students making the exact same error. Here's another example of automation at work: I am currently beta testing The Flow of Mandarin, and in my own analysis of Mandarin speech, I concluded that all speech can be broken down into natural groups of 1,2, or 3 syllables. In the course, I review each possible permutation and helps the student identify which ones he struggles with most. Take note of all the lingo. It may not make sense to you, but it makes sense to the student because all these terms were covered at the beginning of the course. Incorporate as much automation as you can without making things confusing for the student. Also, encourage asking questions on the tracks to keep the conversation in one place, and make sure to always provide positive encourage along with constructive criticism. Language and Music Educators, Step Up Your Game! Fast & Streamlined: By controlling the type of content students submit and centralizing interaction on Souncloud's interface, I can provide high-value feedback in minimal time. Time/Space-Flexible: All my courses are self-paced and mobile-friendly, which means students can practice their flow when and wherever they want. Then, through push notifications to my smartphone via the Soundcloud Android App, I can provide feedback when and wherever I want. Scalable: Since providing Feedback is so streamlined and time/space flexible, you can potentially manage A LOT of students. Especially when you consider the fact that many students move through the course extremely slow (some students submit only once per month). Even though I have over 100 students, I still receive fewer than 10 submissions per day. Given my current activity rates and future automation plans, I estimate being able to manage over 1,000 students in less than 20 hours per week. Super Cheap for the Student (thus stable income source for you): The scalability and automation of my courses allows me to charge very little for it. The Student receives continued, valuable feedback for the same amount of money he would have paid for 2 sessions of private tutoring. I do static, one-time courses, but you can even do subscription courses as well to make the income even more stable. I've helped a few language teacher friends scale their businesses using Soundcloud and other web services in the past, and have recently started receiving requests from their colleagues for consulting services. I'm in the process of putting together some some materials outlining all the techniques I use to build and manage my business. If you are a teacher language teacher (or music teacher) and interested in learning more, check out The New Sound Educators League. In the meantime, I'll give you a tip: create a soundcloud profile now, join The Flow Forum, and start giving valuable feedback to people posting in the group. Make sure you leave a comment with a link to your website and/or Facebook page. You can also post little mini-lessons on your own profile for people to test out your materials. Join the Sound Education Revolution! 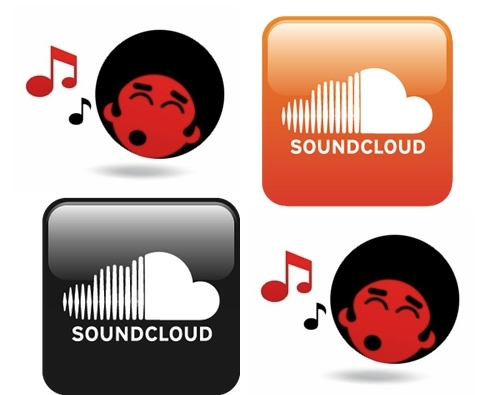 The reason I am writing this article and revealing all my industry secrets is because I strongly believe that EVERYONE should be incorporating Soundcloud into their language studies and teachings. As far as I know, I'm the only one who uses Soundcloud for language education in any structured way, which means there is an infinite amount of potential for other people to figure out even more creative and useful ways to leverage the power of Soundcloud. A recording of yourself freely talking about a topic in your target language, or just reading something out loud for pronunciation purposes. A recording of you singing or rapping a song lyric you learned, or reciting a poem you like. And of course, give feedback on other people's submissions as well. Answer questions, correct grammar or pronunciation, make suggestions for different words to use, or at the very least, just leave a “good job!” on someone's track to boost their confidence and build some sound-learning karma points. If you submit anything in the languages I speak (English, Spanish, Mandarin, Portuguese and French), I'll give you free feedback on your pronunciation and Flow. I'll be regularly submitting things myself as I continue to learn French and develop my multi-lingual freestyle skillz, so I expect you to hook me up with some timed-comment lovin' as well. Until then, keep on Flowin! Great job again Idahosa! Feel free to leave your comments on this below. Otherwise, check out Idahosa's blog, his Flow courses, Facebook page, twitter, and of course The Flow Forum! We are now just a few days away from the Polyglot Conference that marks the end of Lauren's 6-week project to learn Esperanto, and she'll get a chance to use it to make new friends! Because of that, rather than throw her in the deep end, in this last video I put her face-to-face (digitally) with an Esperanto speaker she didn't know and she had to make conversation. Unlike in the last video, she only prepared a couple of questions, but most of her dialogue is spontaneous.